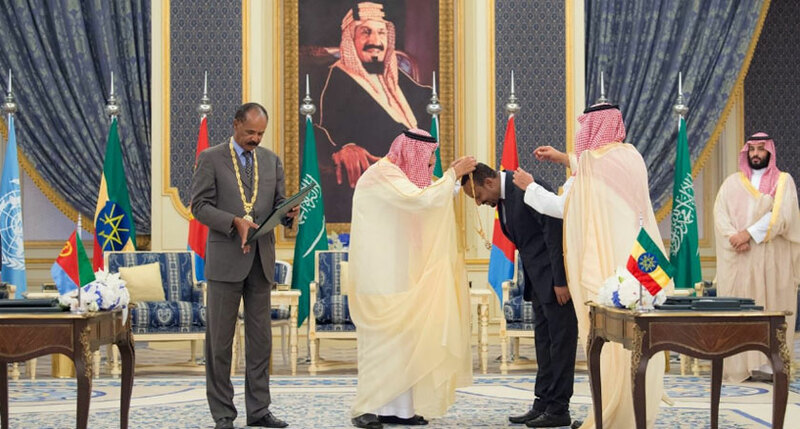 In recognition of the vision, courage, and statesmanship they demonstrated to end war and bring about peace between the two countries, President Isaias Afwerki and Prime Minister Abiy Ahmed have been presented by King Salman bin Abdulaziz Saudi Arabia’s highest medal “The Order of King Abdulaziz” today, 16 September. 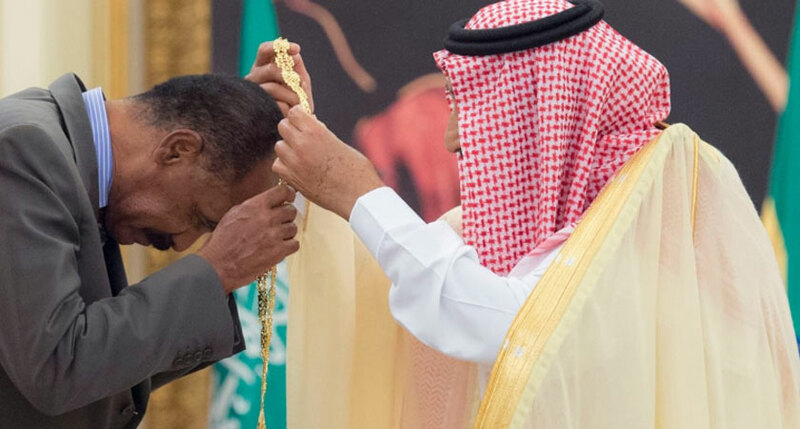 The award was presented during a ceremony King Salman bin Abdul Aziz of the Kingdom of Saudi Arabia hosted in Jeddah in the presence of Mr. Antonio Guterres, UN Secretary-General, Shiekh Mohammed bin Salman, Saudi Arabia’s Crown Prince and Minister of Defense, Sheikh Abdullah bin Zayed Al Nahyan, UAE’s Minister of Foreign Affairs and International Cooperation, and others. 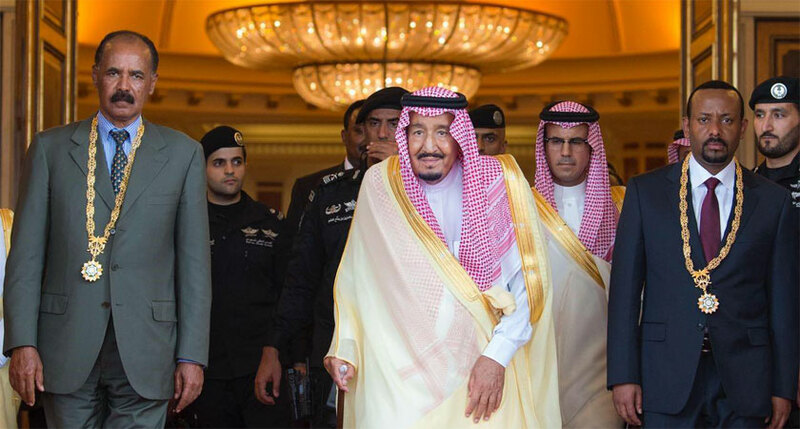 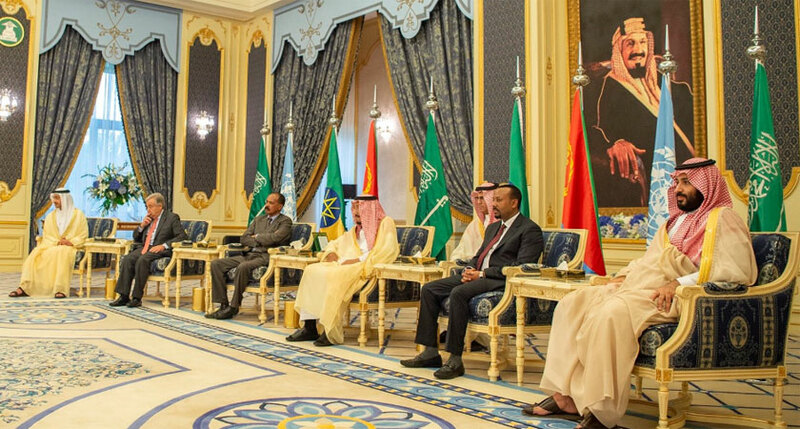 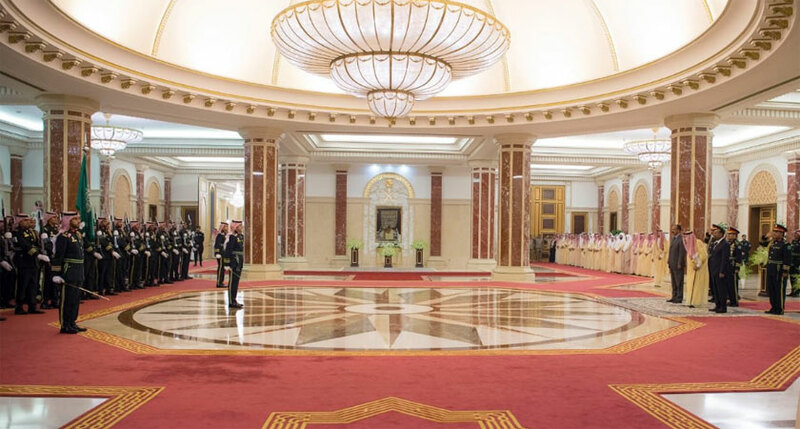 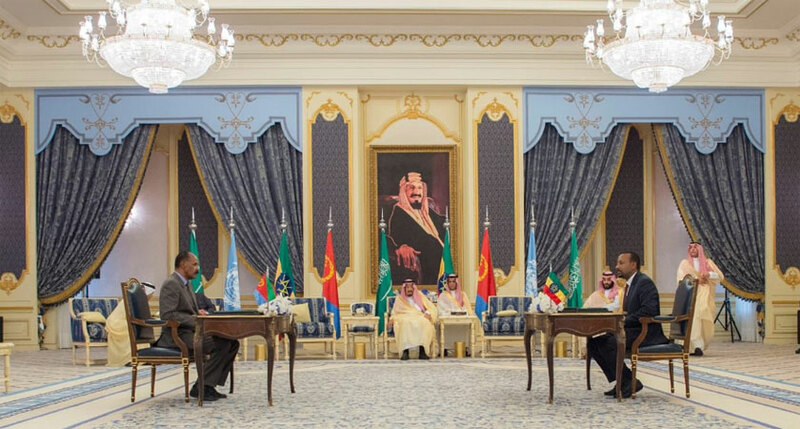 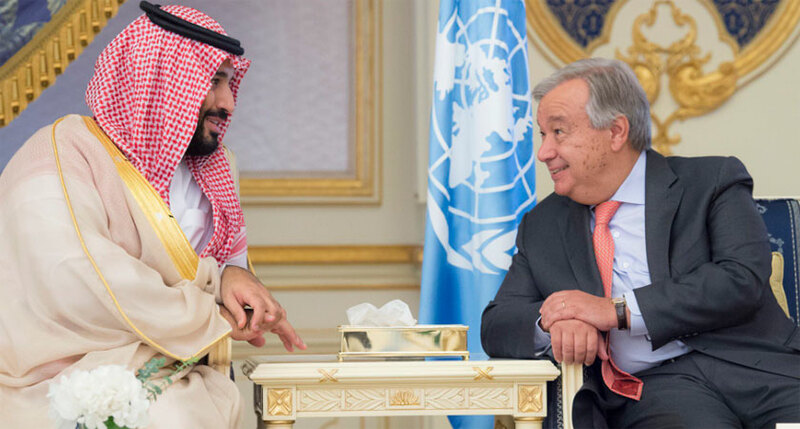 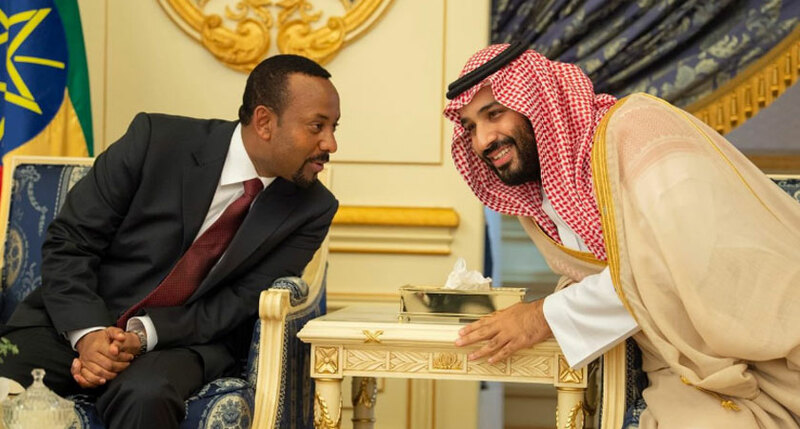 At the event, President Isaias Afwerki and Prime Minister Abiy Ahmed signed the Jeddah Peace Accord in the presence of King Salman, other Saudi dignitaries, and UNSG. 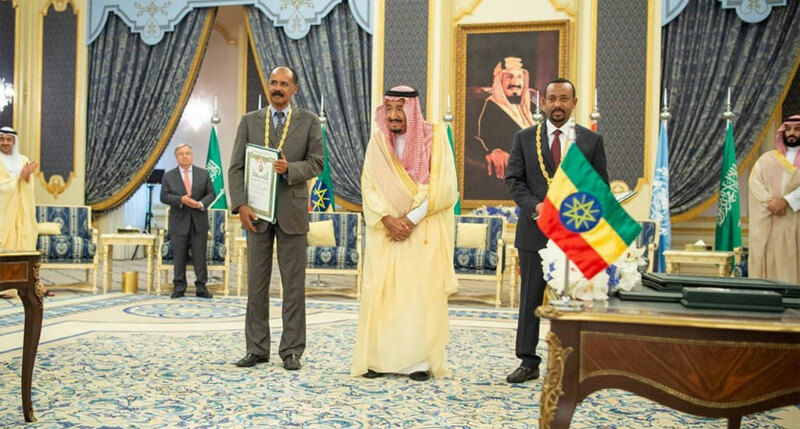 At the ceremony, Mr. Osman Saleh, Minister of Foreign Affairs, and Mr. Yemane Ghebreab, Presidential Advisor, were also present. 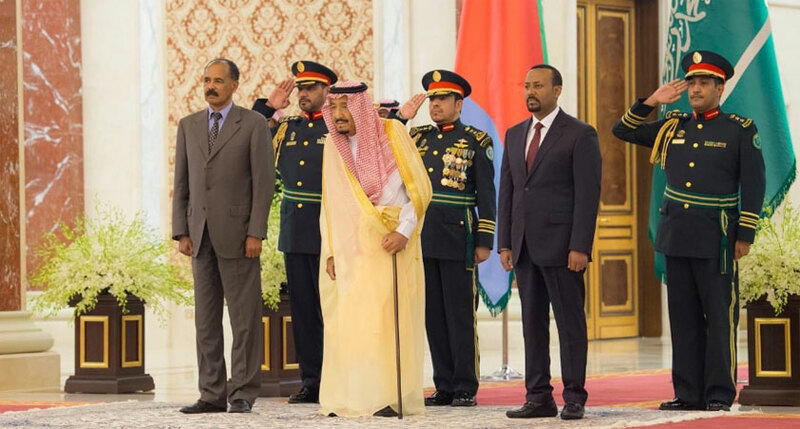 President Isaias Afwerki left for Jeddah in the afternoon hours of yesterday, 15 September, to attend the ceremony that was hosted by King Salman bin Abdul Aziz of the Kingdom of Saudi Arabia. 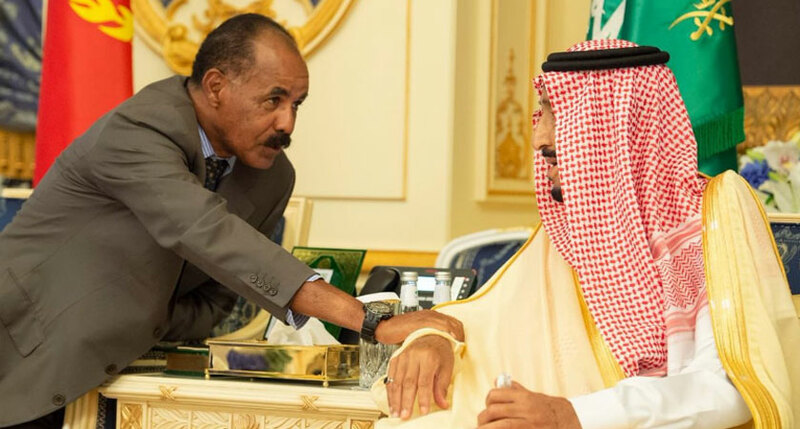 Upon arrival at the Jeddah International Airport, President Isaias was awarded warm welcome by Amir Khalid bin Faisal Saud, Governor of Mecca, and other officials. 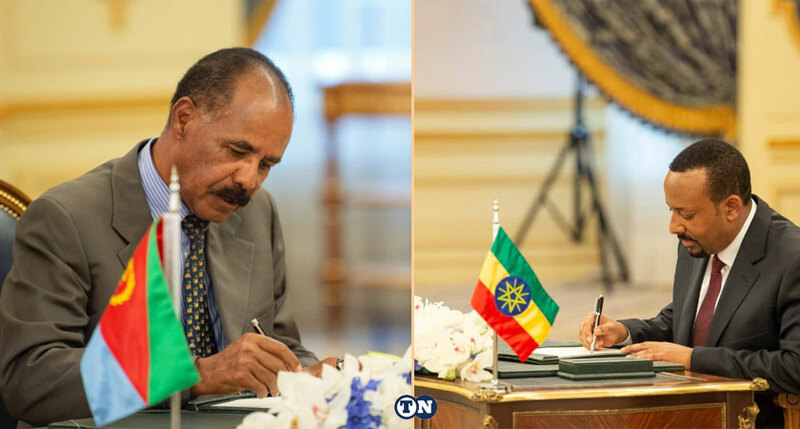 President Isaias Afwerki and Prime Minister Dr. Abiy Ahmed signed five pillars Joint Declaration of Peace and Friendship on 9 July in Asmara. 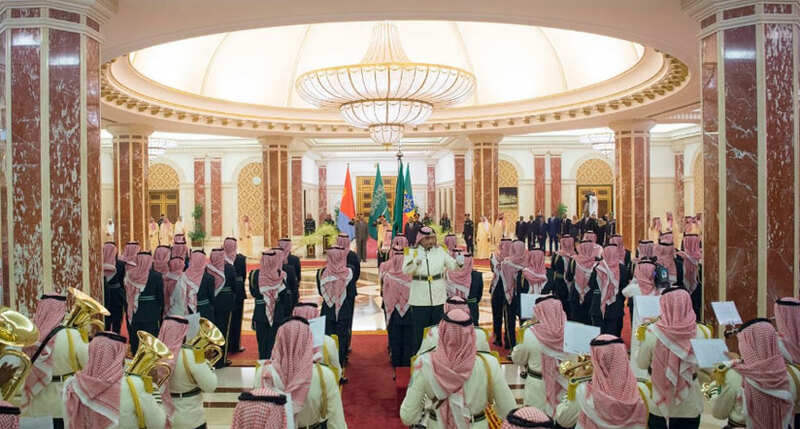 In recognition of the vision, courage, and statesmanship they demonstrated to end the war and bring about peace between the two countries, the two leaders were also awarded the highest Abu Dhabi honor “The Zayed Award” on 24 July 2018.